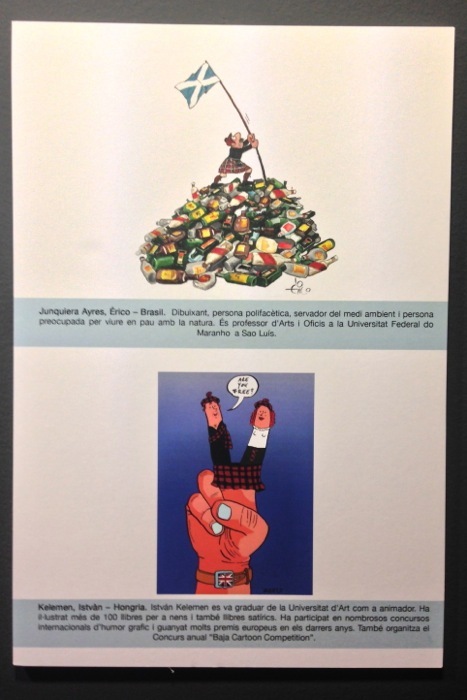 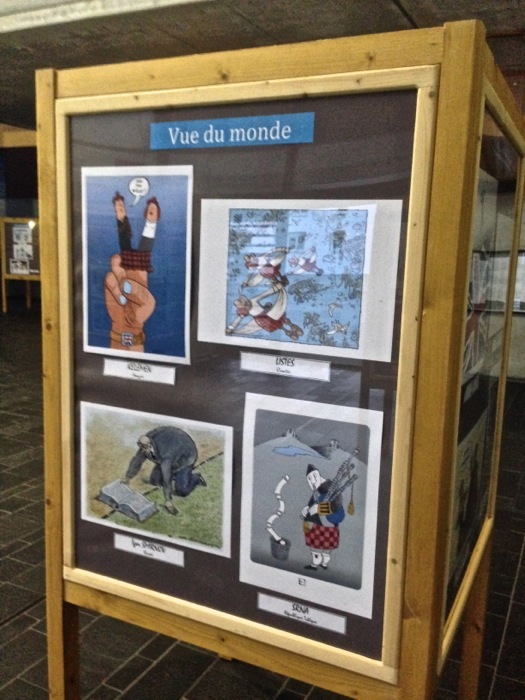 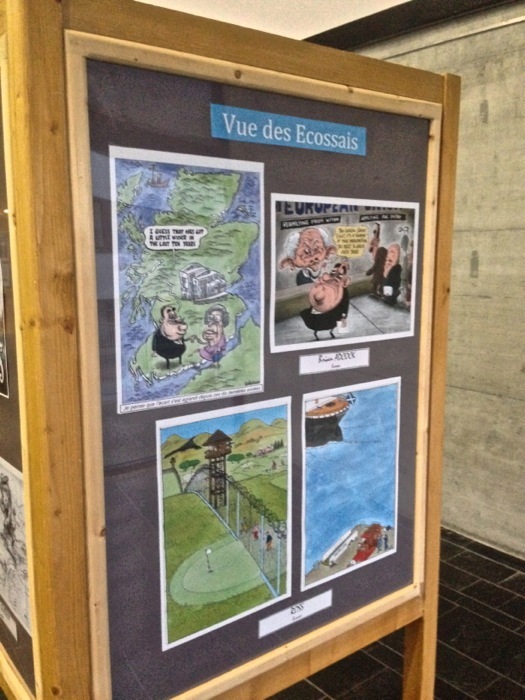 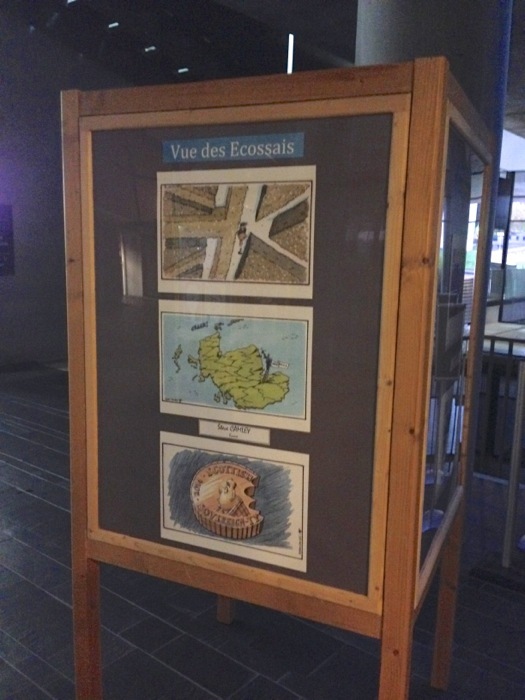 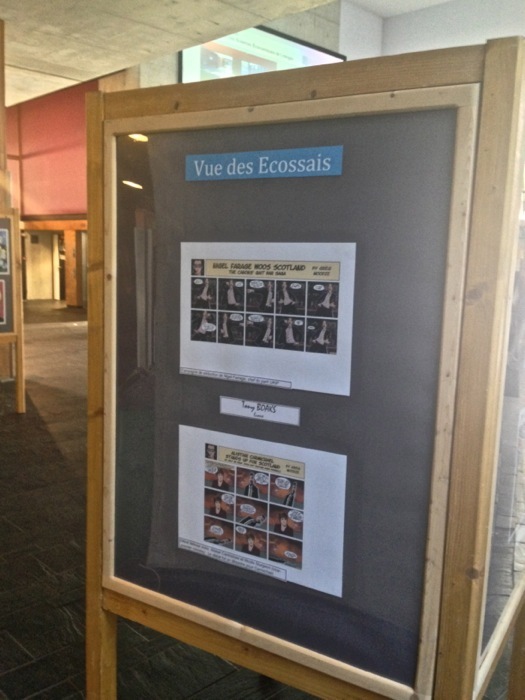 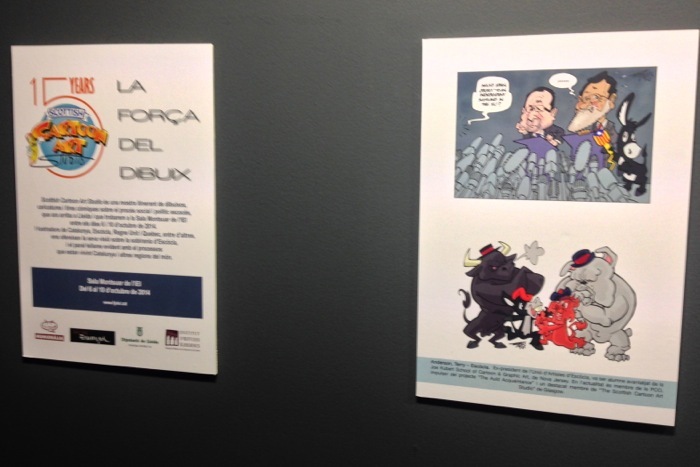 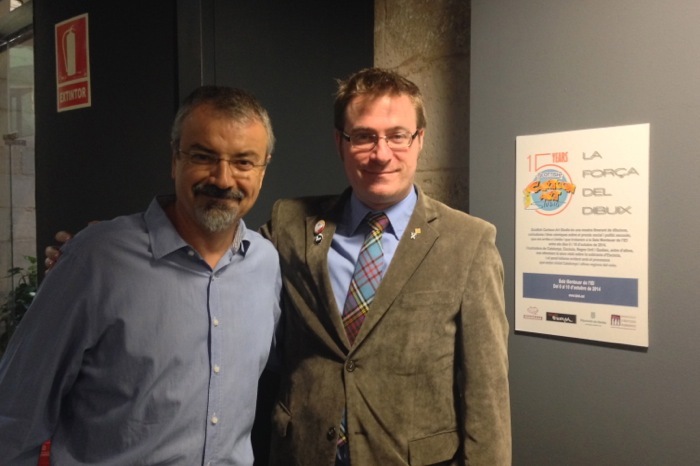 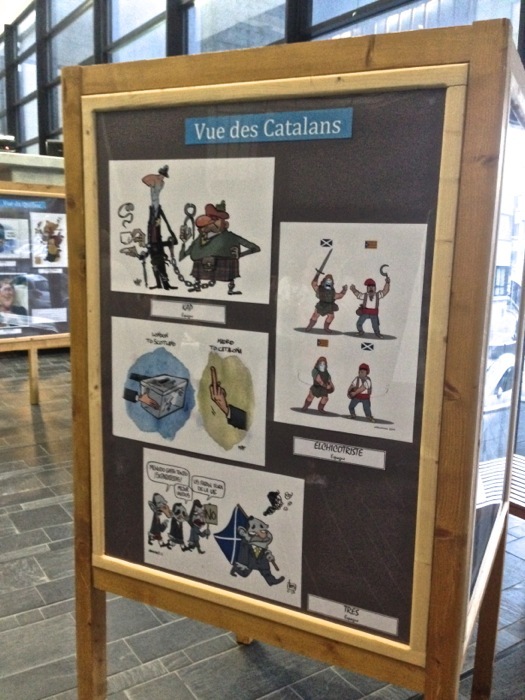 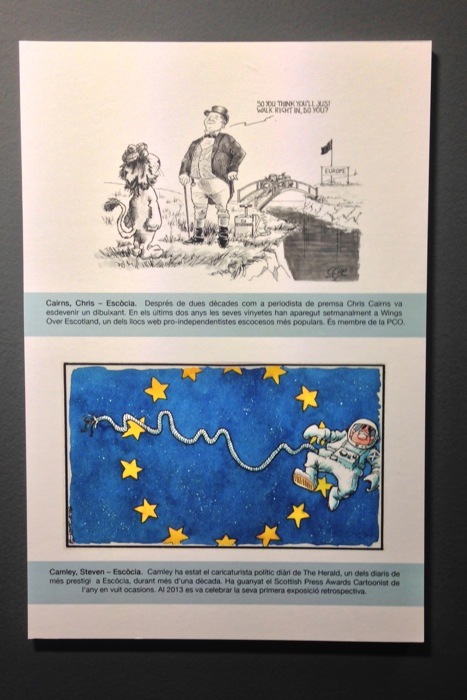 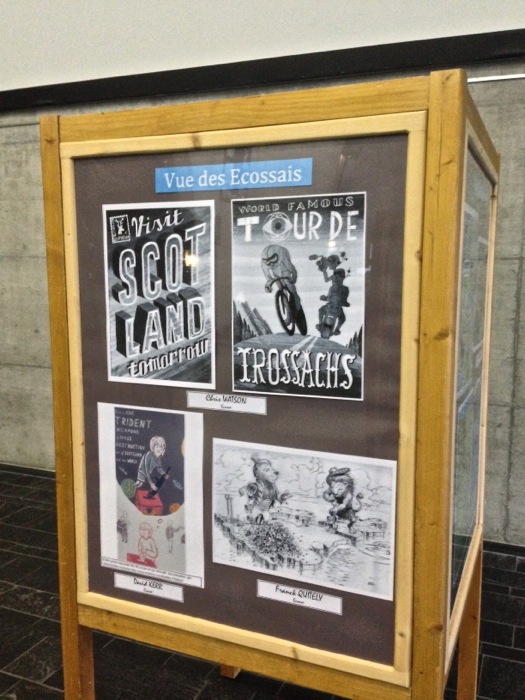 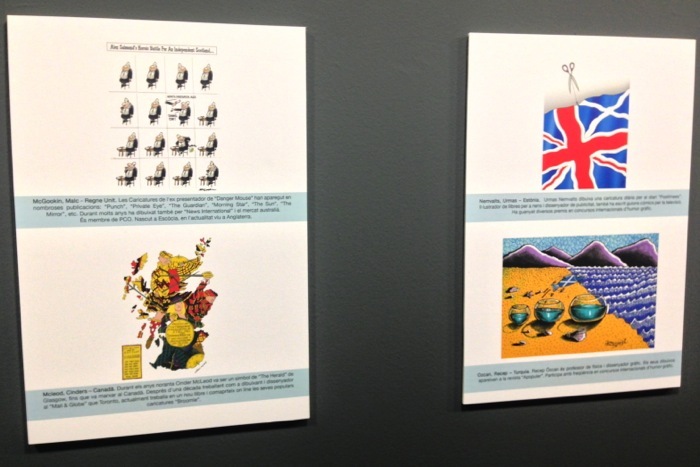 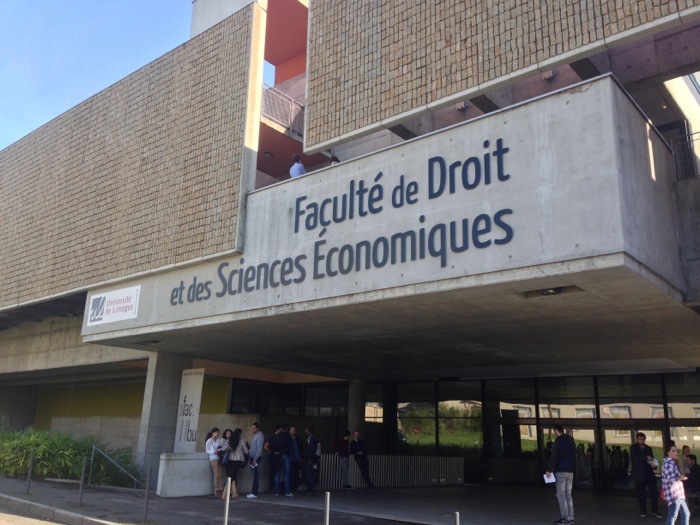 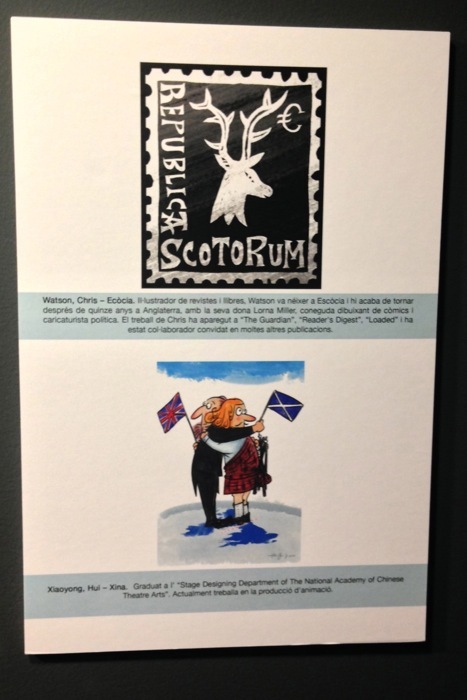 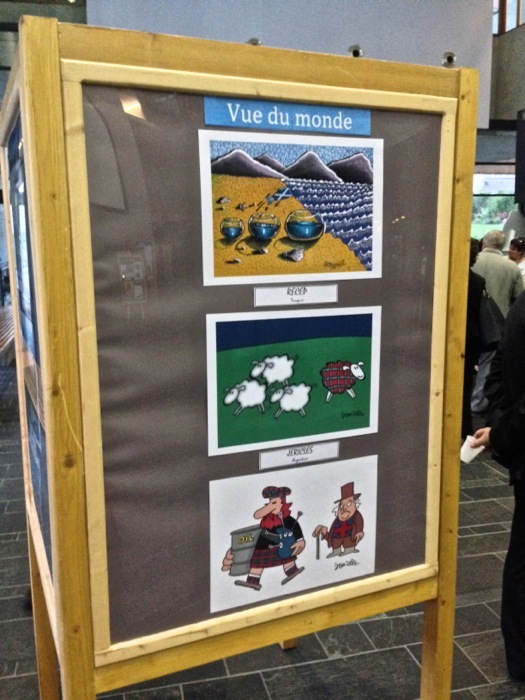 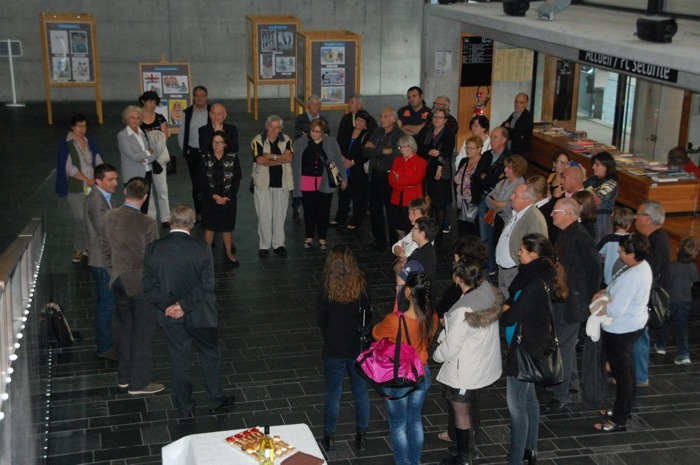 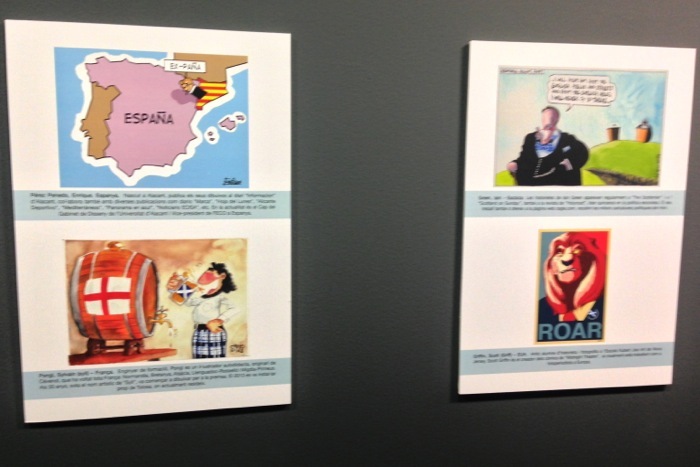 Photos from The Auld Acquaintance exhibition that ran at the Institut d’Estudis Illerdencs, Lleida, Catalunya 6th-10th October and the showing now underway at the Faculté de Droit et des Sciences Économiques, Université de Limoges, France until the 14th of November 2014. 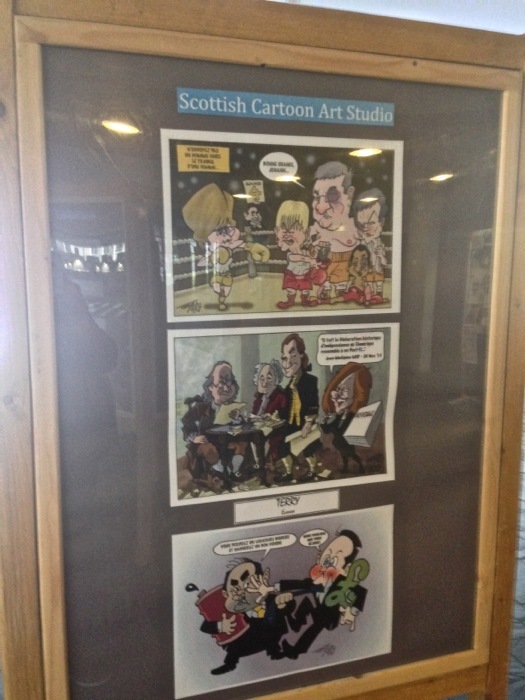 Once again we thank all contributing cartoonists for their work. 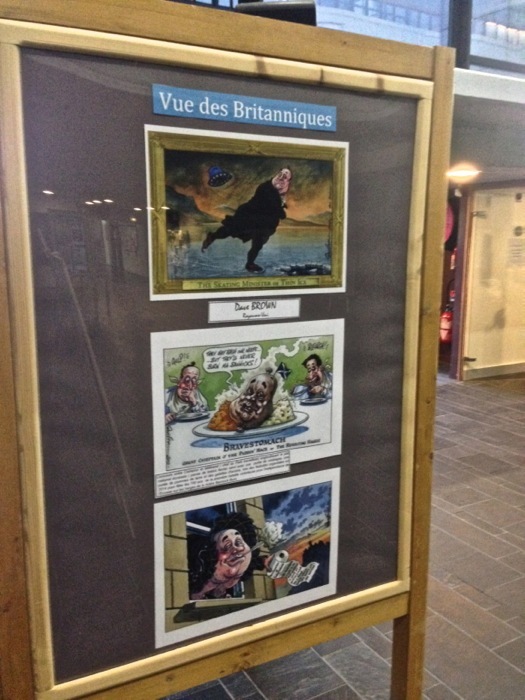 Please note the French exhibition is a repeat showing of the version first shown in St. Just-le-Martel earlier this year. 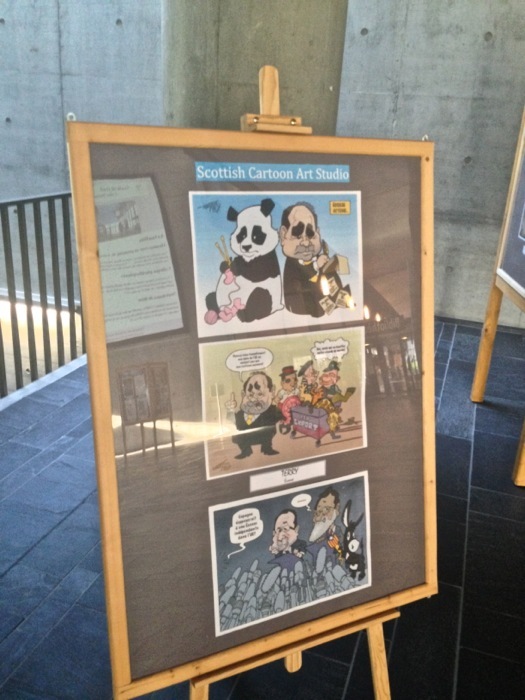 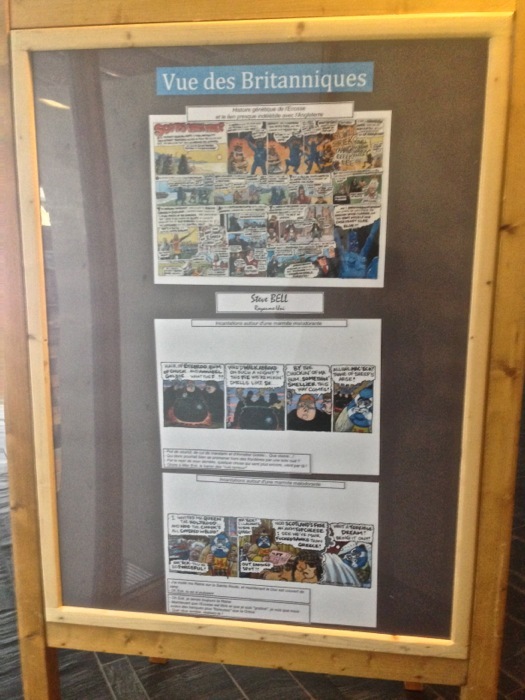 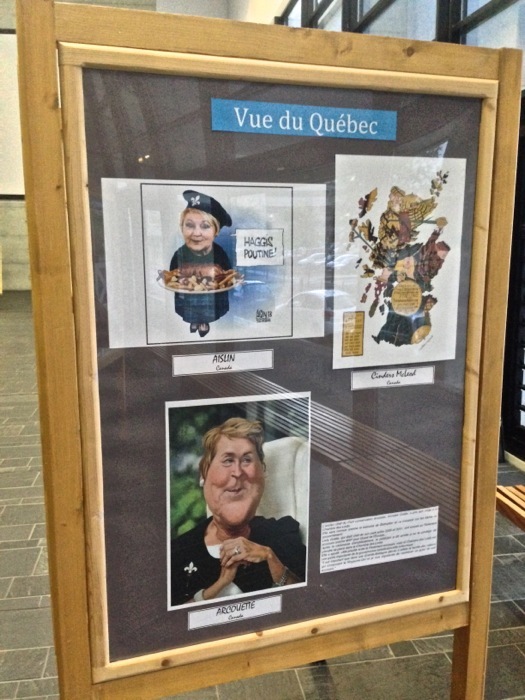 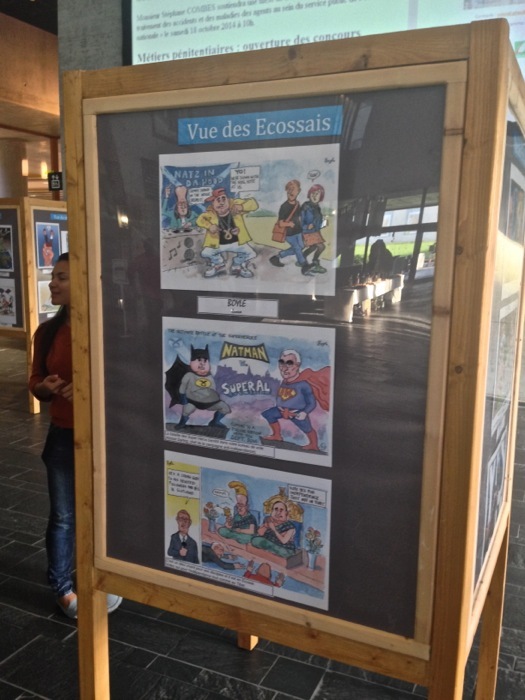 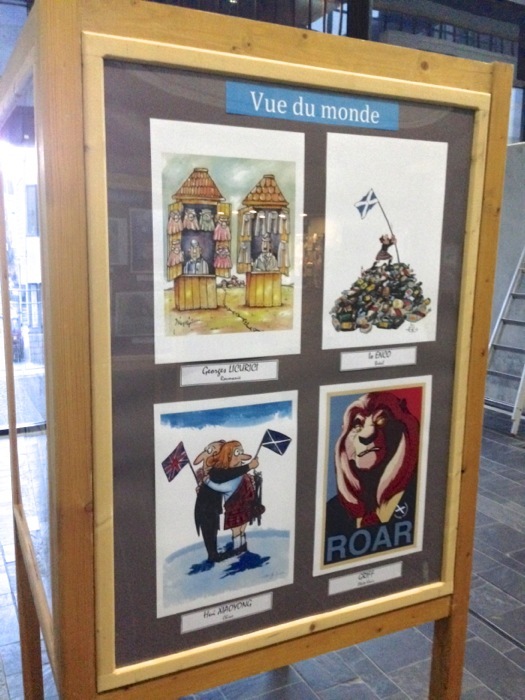 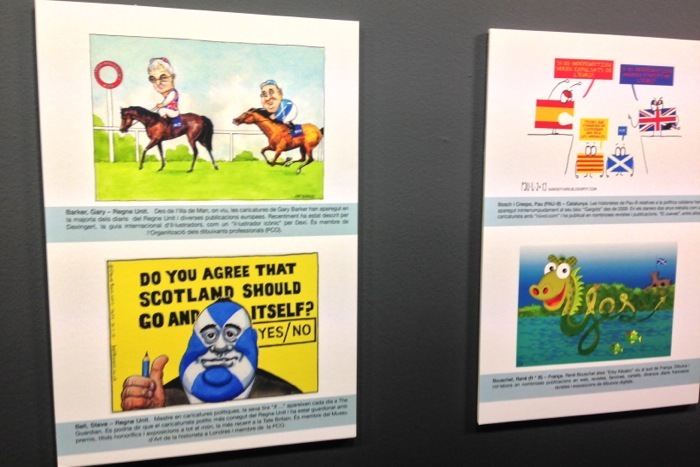 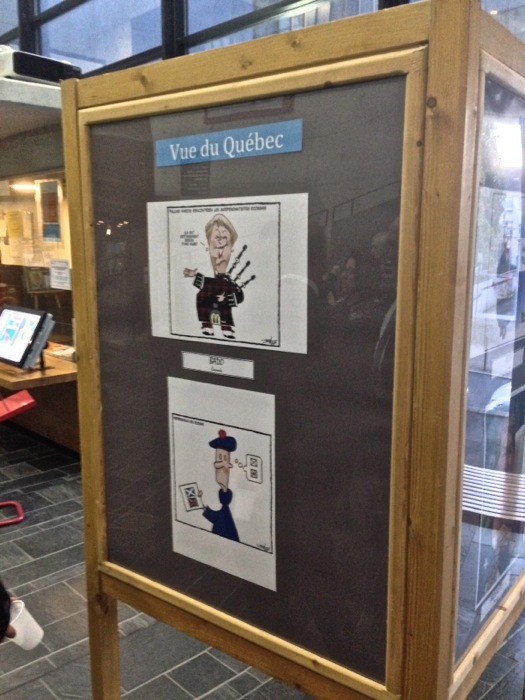 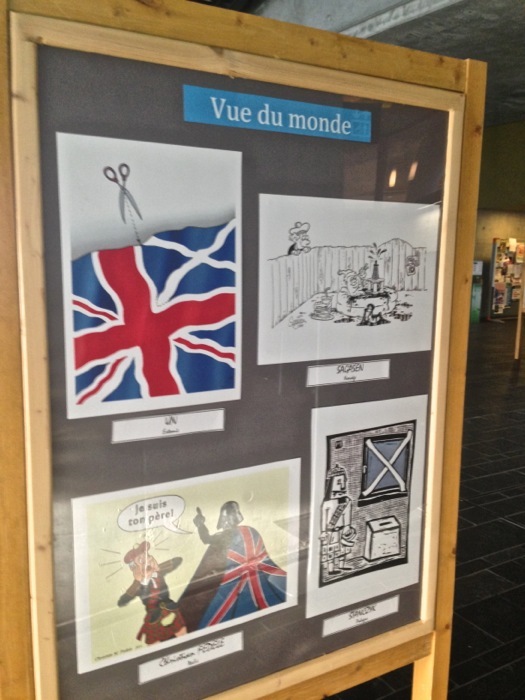 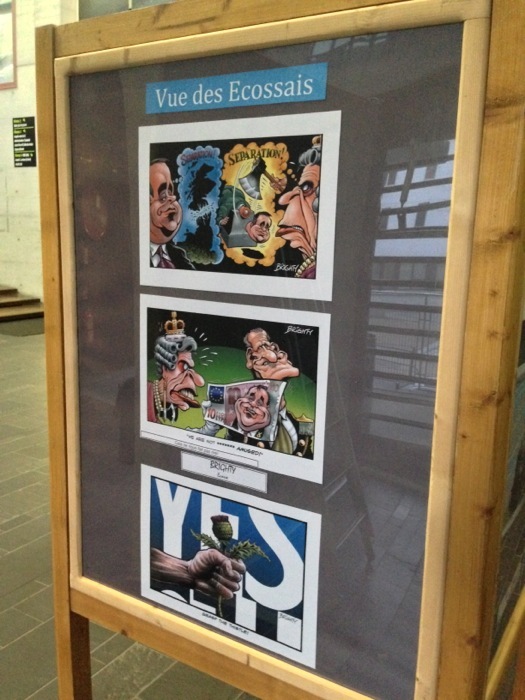 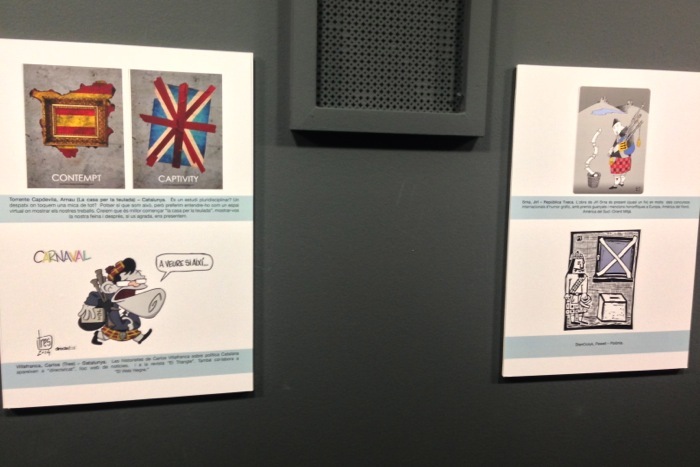 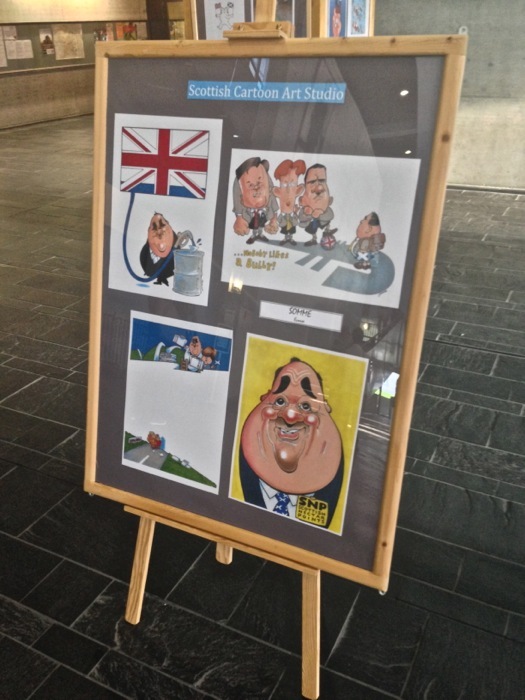 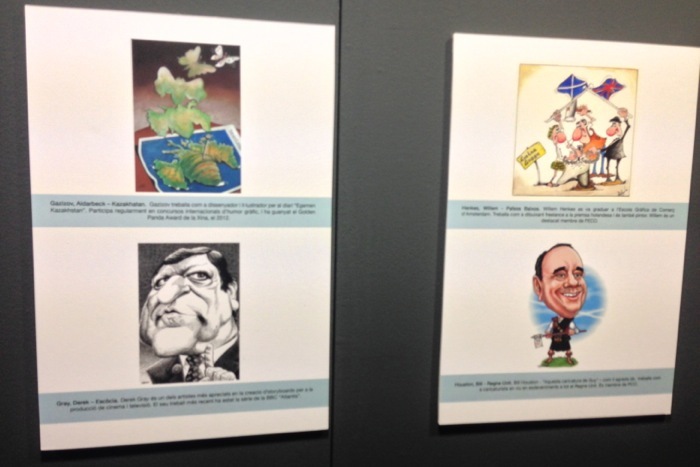 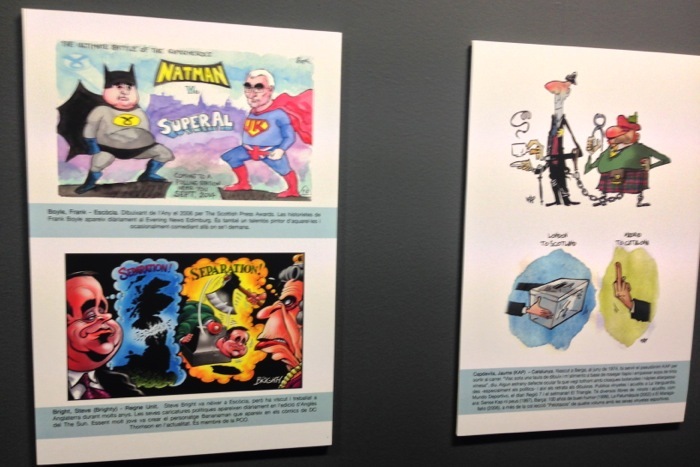 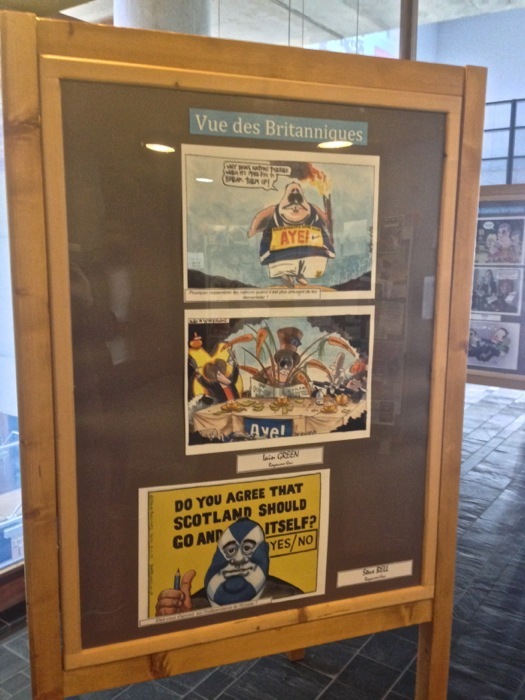 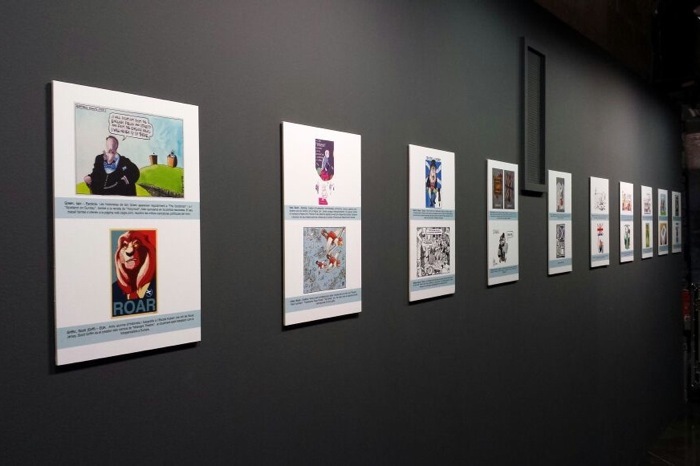 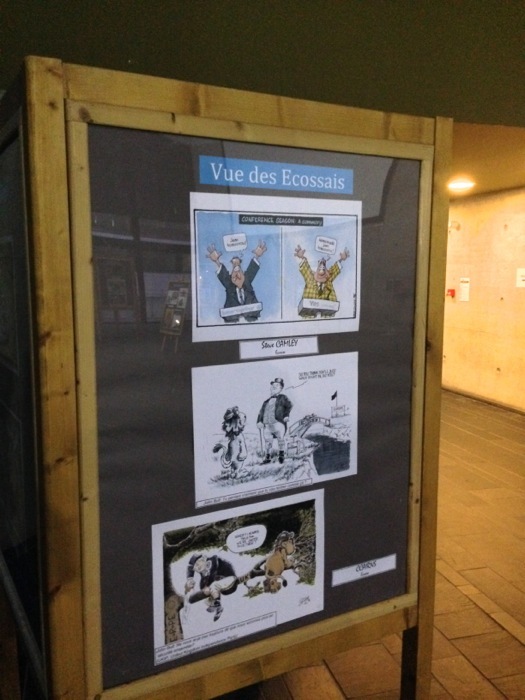 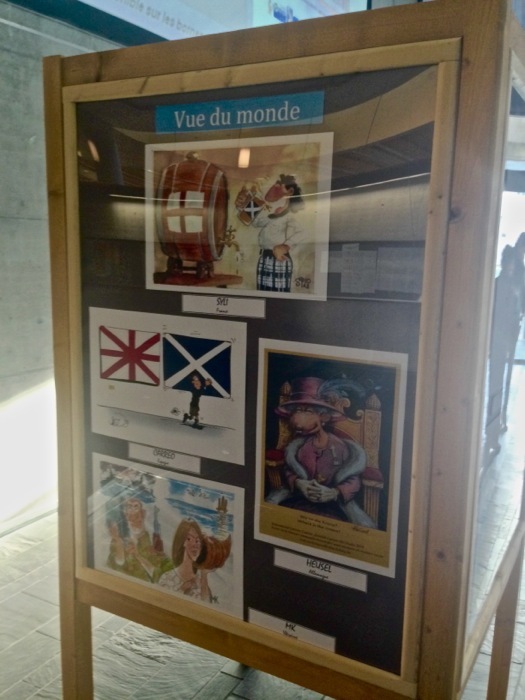 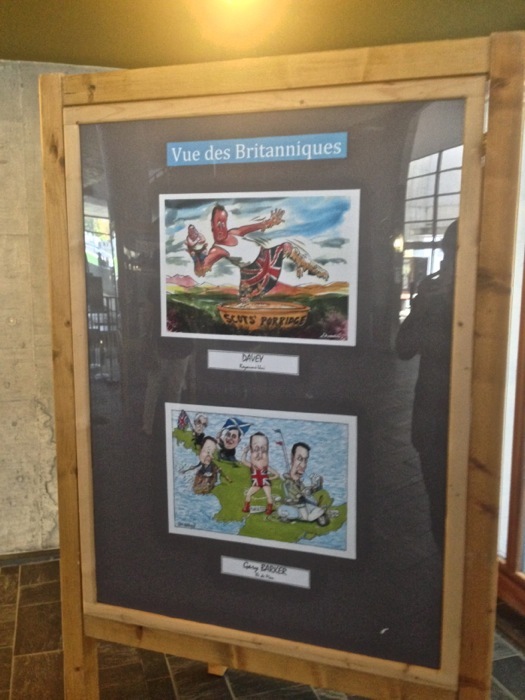 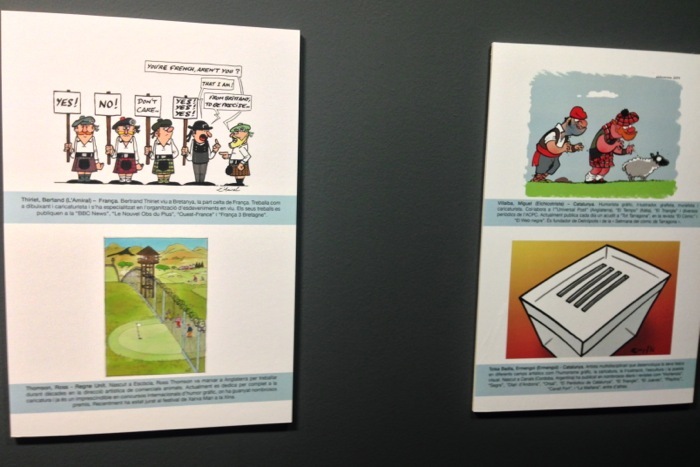 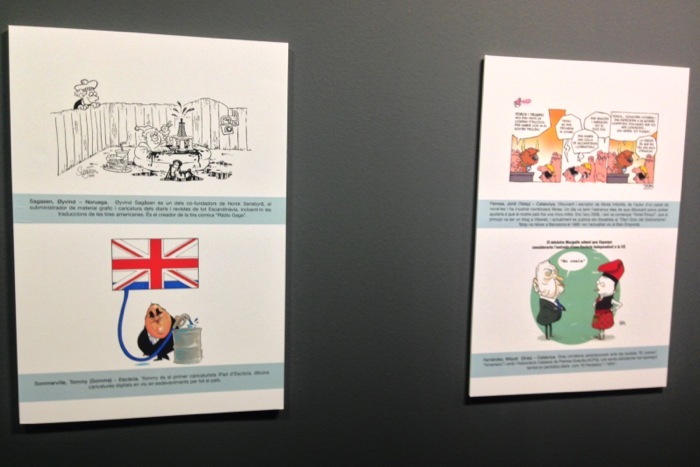 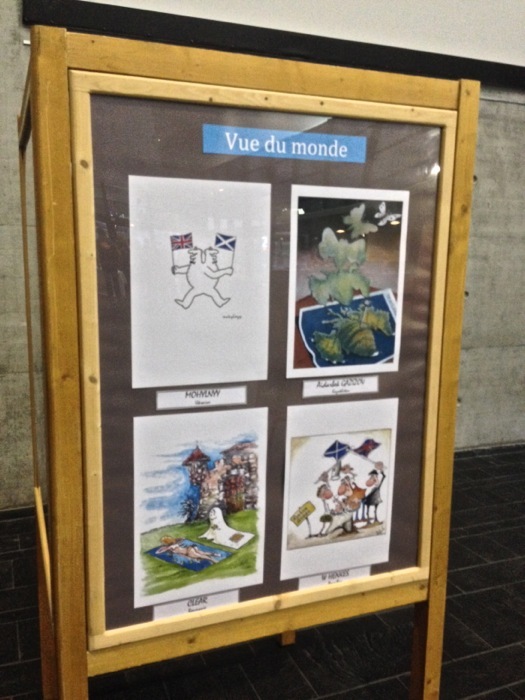 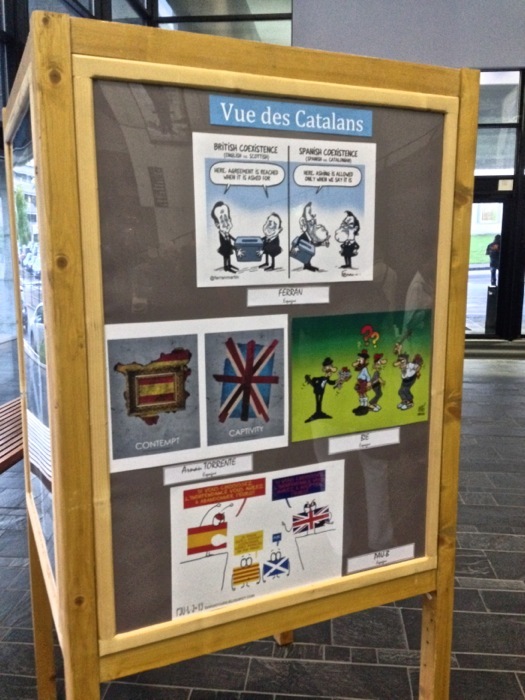 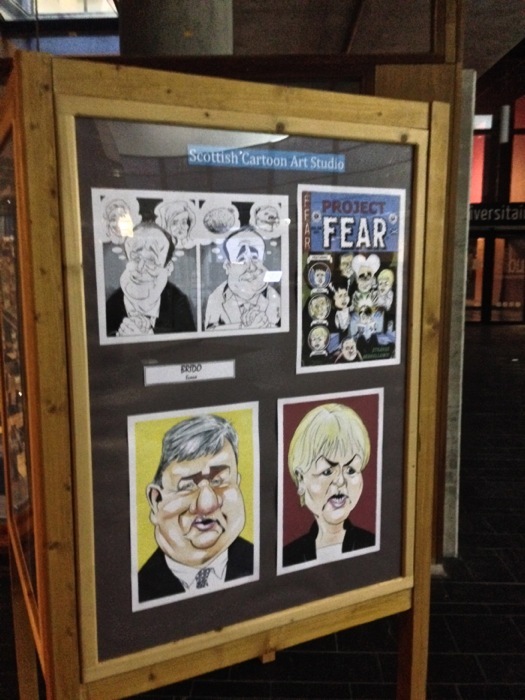 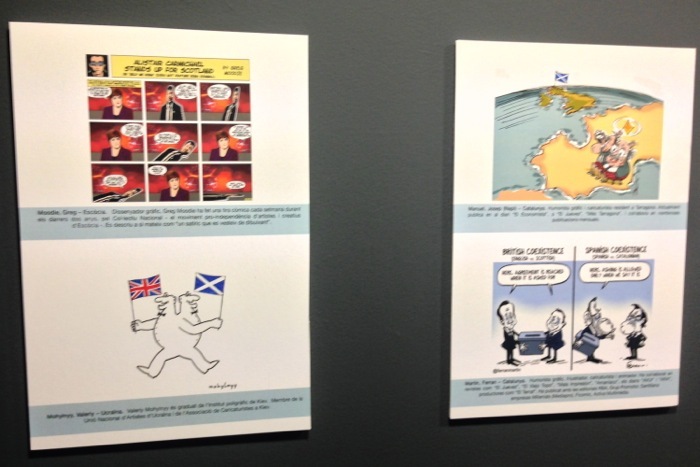 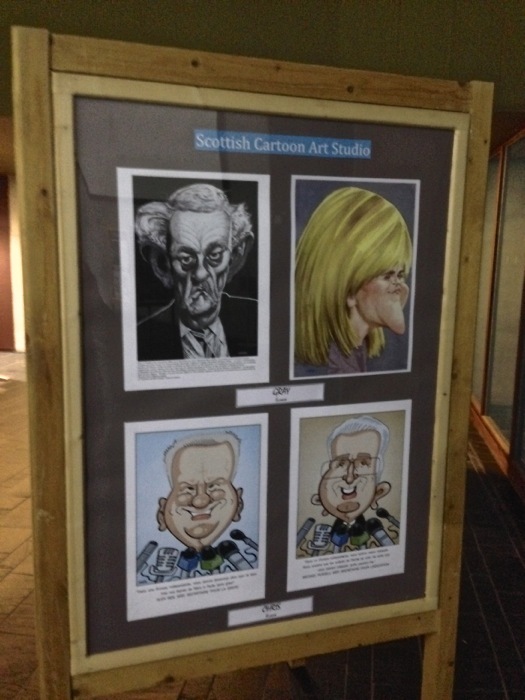 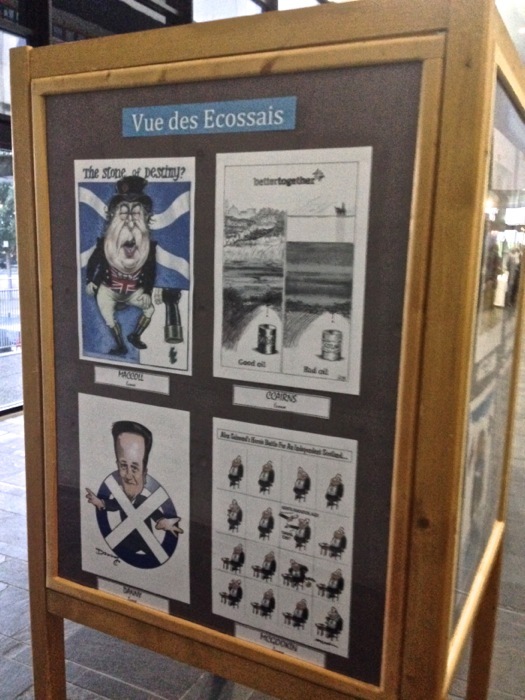 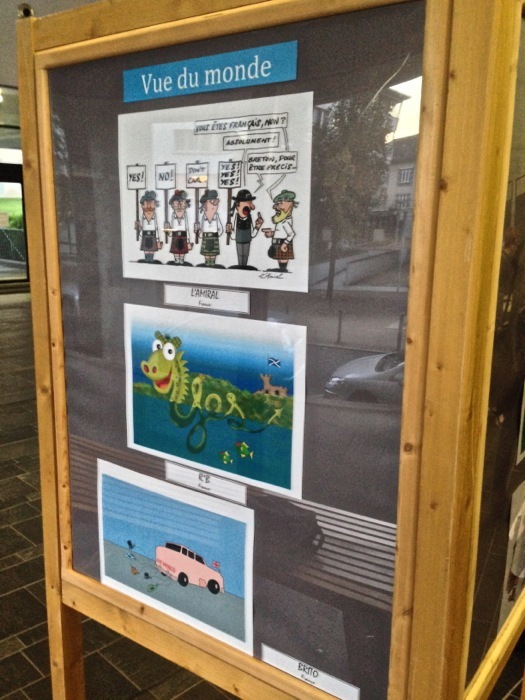 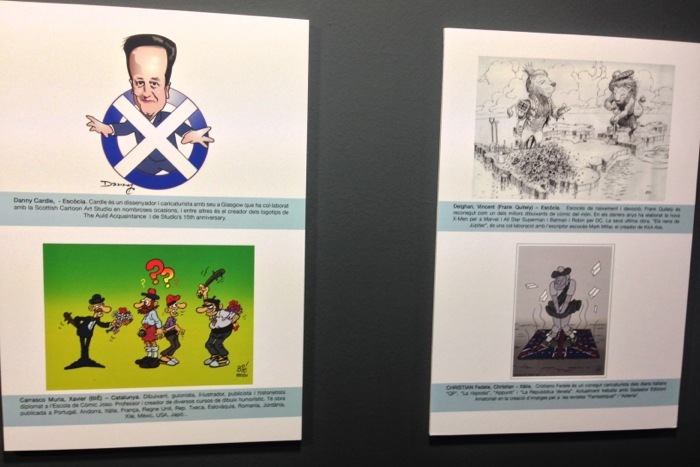 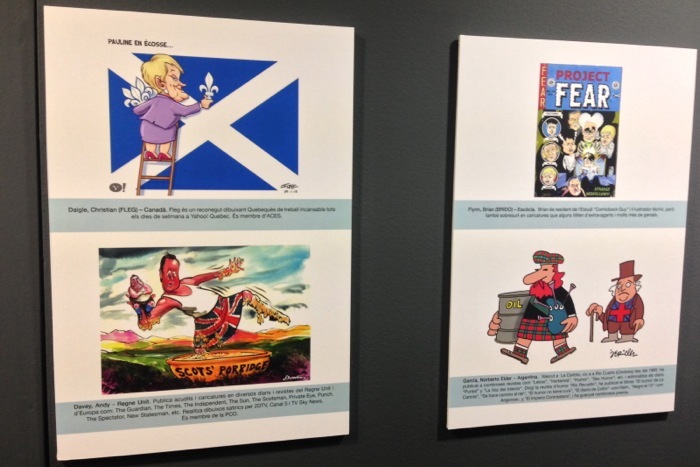 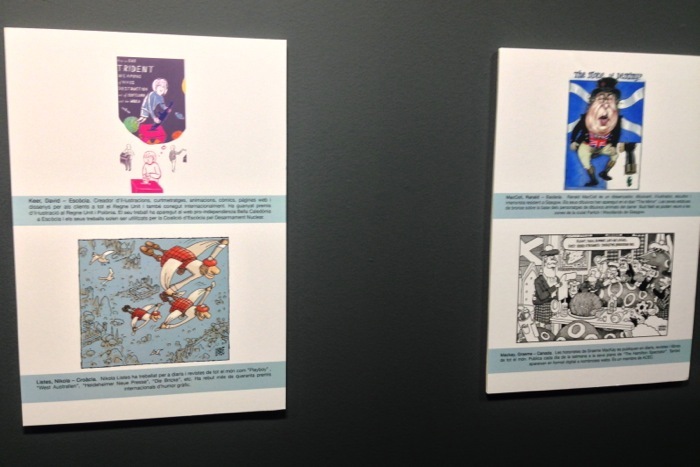 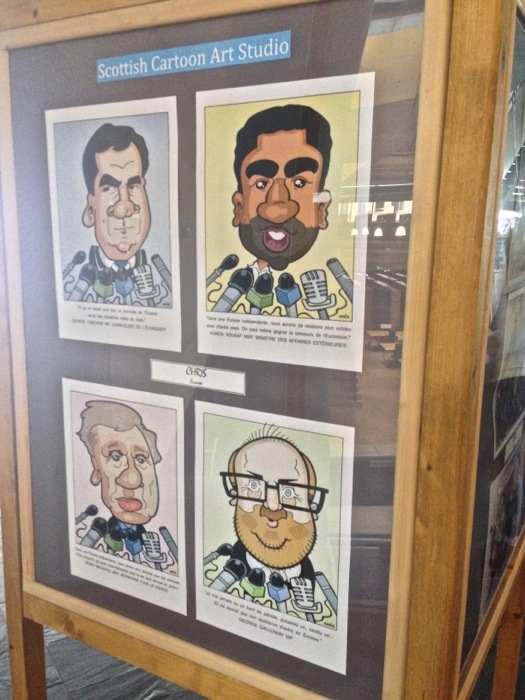 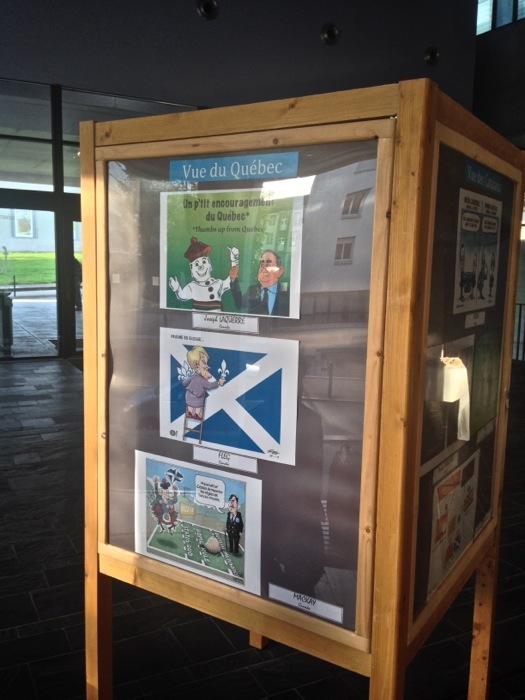 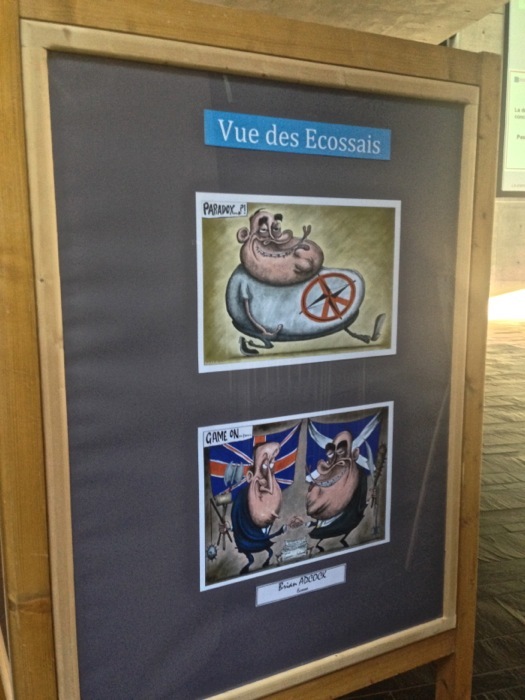 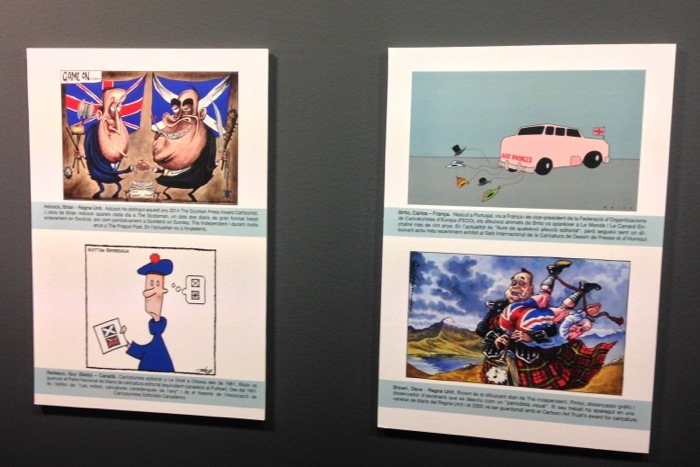 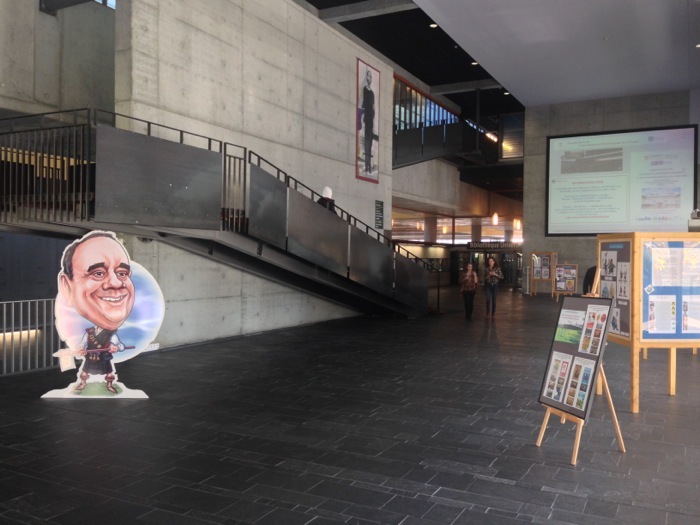 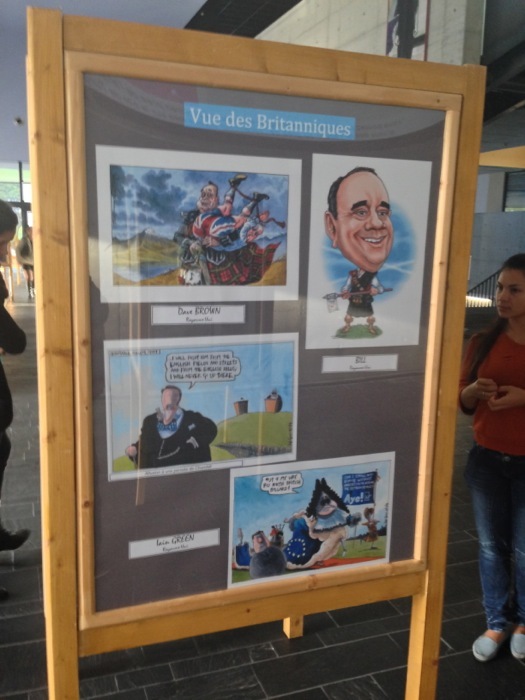 NB – one cartoon was placed upside down in this cabinet, the organisers have been informed.